According to the Aviation Safety Network, and as recently reported in Forbes, there were 16 aviation accidents that killed more than 550 people in 2018. Why that may not sound like a lot of accidents, according to reports, that number represents a 900 percent increase over 2017, when only 59 people died in aviation accidents. 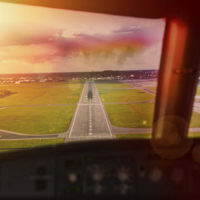 In addition, the 550 plus deaths that occurred in 2018 are the highest number of aviation accident-related deaths since 2014, when almost 700 people died. So why, all of a sudden, are there so many fatal aviation accidents? What Caused So Many Deaths? Forbes did a spotlight on two of the deadliest accidents to try and figure out what might account for the high number of airline deaths we faced this year. One involved a brand-new Boeing 737 MAX and accounted for more than one-third of all airline-related deaths in 2018. According to reports, the pilots received “false readings from sensors,” and were unable control the plane’s stabilizers. A number of lawsuits have already been filed in response, arguing that the airplane was unreasonably dangerous and the pilots did not receive the proper instructions on how to respond in circumstances like those. Since then, Boeing has issued an Operations Manual Bulletin to try and address circumstances where erroneous input comes from attack of angle sensors, however, unfortunately, a full investigation of what happened won’t be completed until 2019. The other notorious accident wasn’t quite as tragic, as, although the engine failed, the Captain was able to land it with a single engine. As a result, regulators reviewed the overall certification standards and life limits for engines and engine components. Meanwhile, a number of engine issues have reportedly occurred in Boeing 787 Dreamliners, while Airbus aircrafts have, at times, lost both engines in flight accidents this year, leading to emergency landings; one of which could have been caused by fuel contamination at the previous airport. According to experts, these accidents have proven that twin-jet aircraft can fly fairly safety for a certain amount of time on one versus two engines. So why is there a nearly ten-fold increase in passenger deaths between 2017 and 2018? Experts and regulators still need to figure this out, and soon, before more accidents cause additional innocent deaths. Aviation accidents are absolutely tragic. Not only do they affect passengers and their families, but pilots and their families as well. If you or a loved one has suffered as the result of an aviation accident, you should speak with an aviation accident attorney right away to find out what your options are. Contact our Jacksonville, Florida accident lawyers at Douglas & Carter, Attorneys at Law today for a free consultation to find out how we can help.